Boys Hurling Matches 24th of August 2018 – The Season is back! 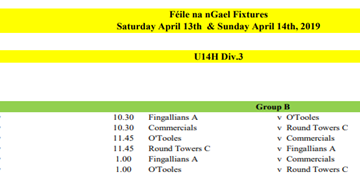 Junior Football Championship. O`Toole Park, June 1973. Intermediate Hurling Finalists. O`Toole Park, July 1966. 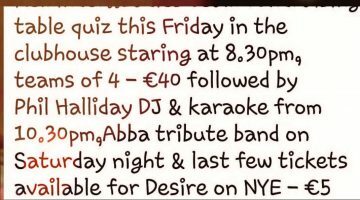 SENIOR HURLERS V ST JUDES OTOOLE PARK 4PM SATURDAY C/SHIP GAME ALL SUPPORT NEEDED & WELCOME ..
Quiz night tonight in aid of our ladies team so drop in if you can should be a good night..